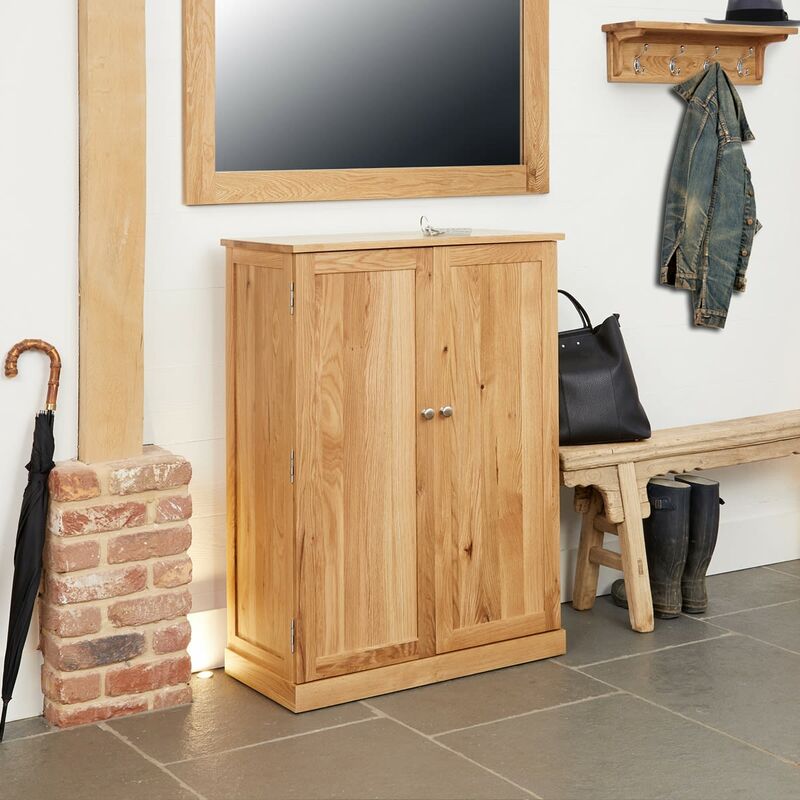 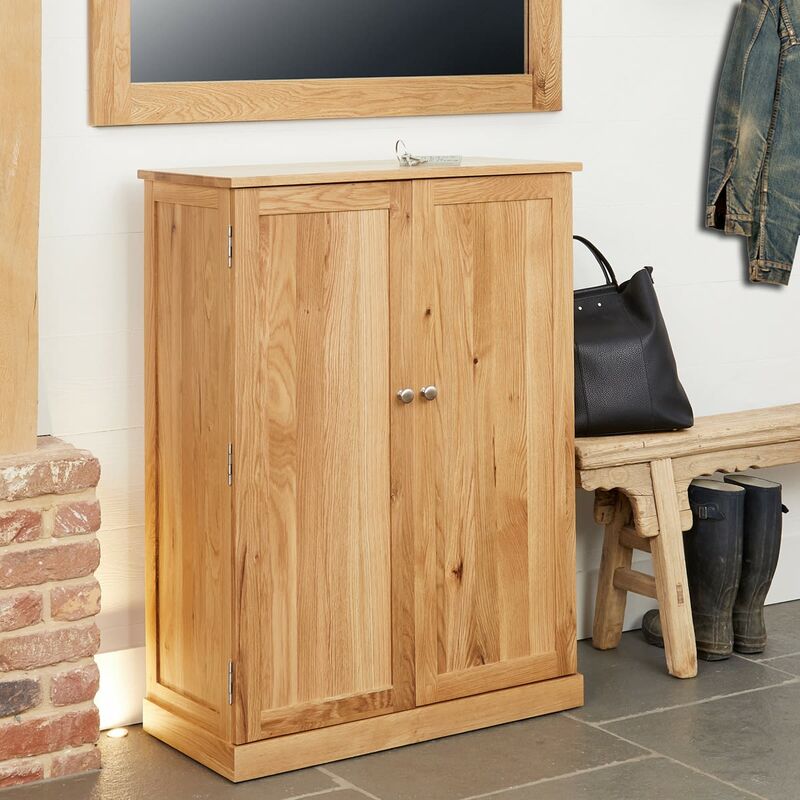 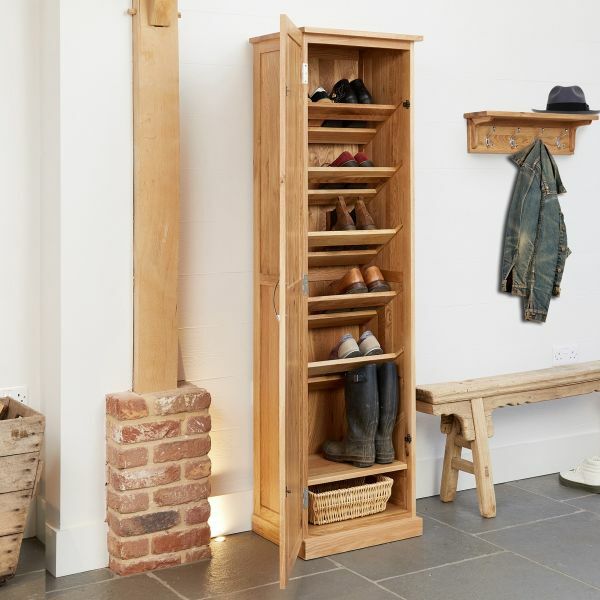 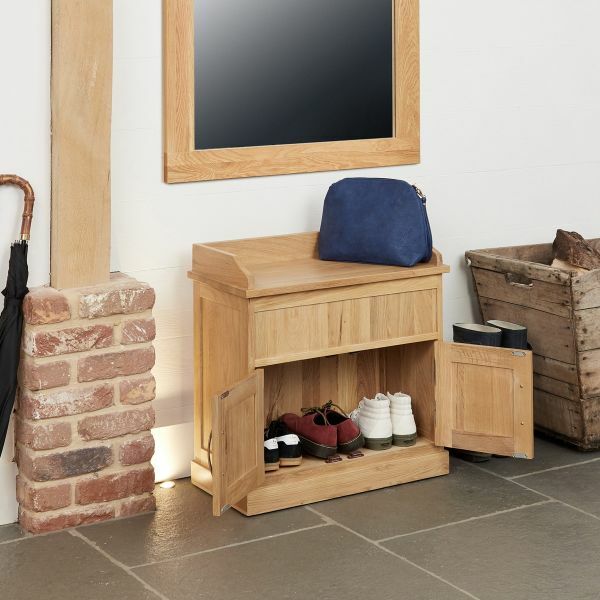 This exceptional and popular Large Mobel Oak Shoe Storage Unit is fantastic for keeping the passageway or living space mess free since it offers generous amounts of storage - in fact approximately eighteen (18) pairs of boots or shoes. 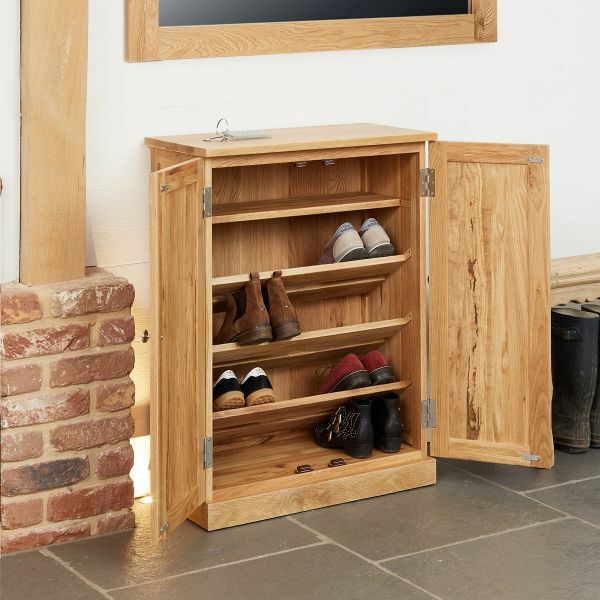 Forget about stumbling over all those loose trainers! 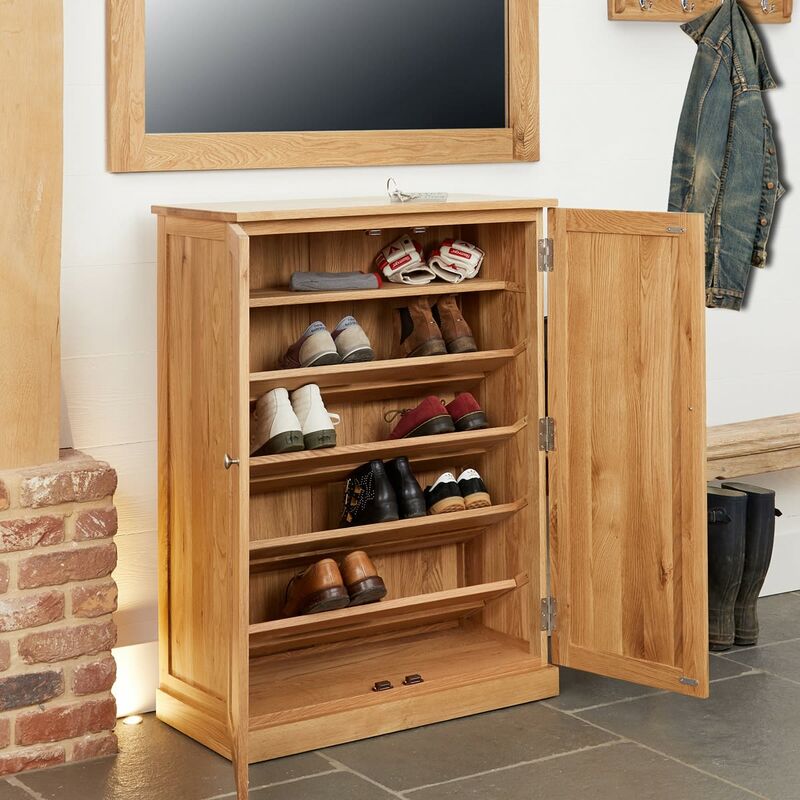 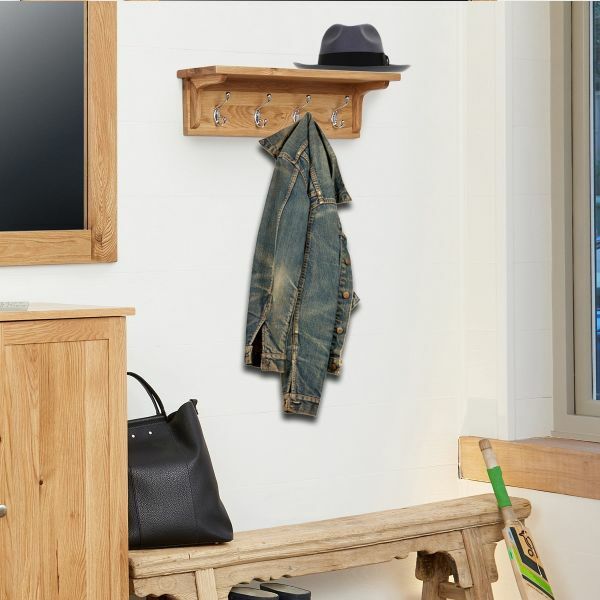 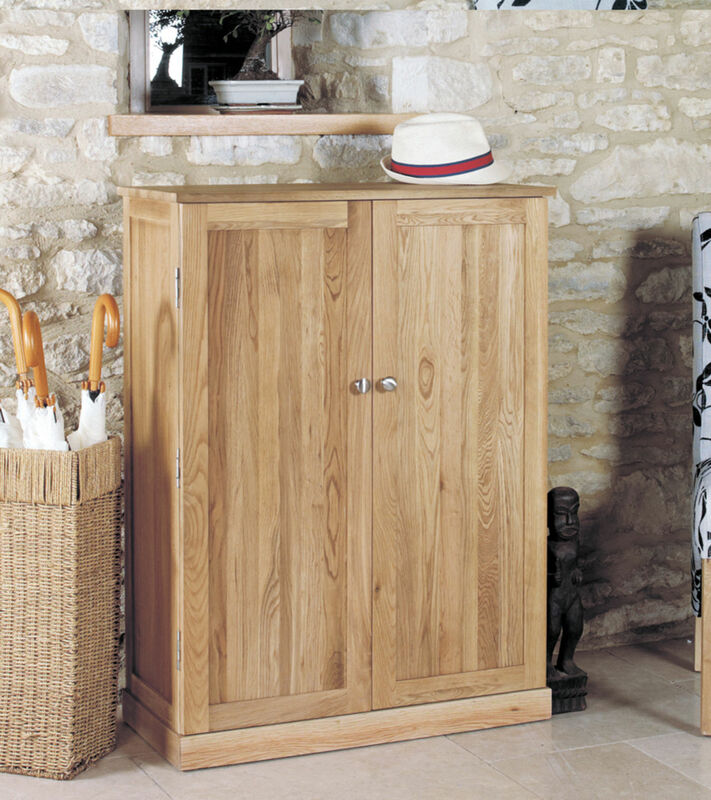 This large oak shoe storage unit has four shelves for storing your shoes or trainers, as well as an accessories ledge created specifically to keep other items such as sun glasses, hats, scalves and gloves. 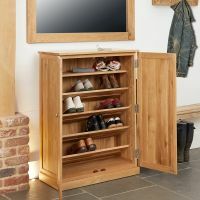 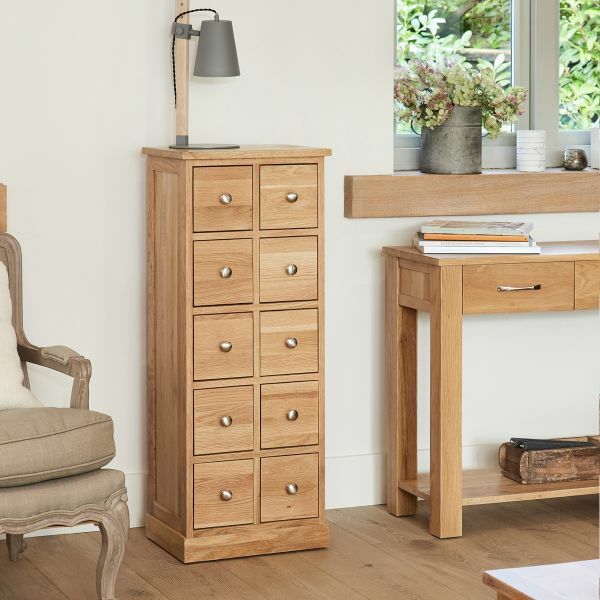 Constructed from premium quality solid light oak, this generous large shoe storage cabinet is solidly made with outstanding build quality. 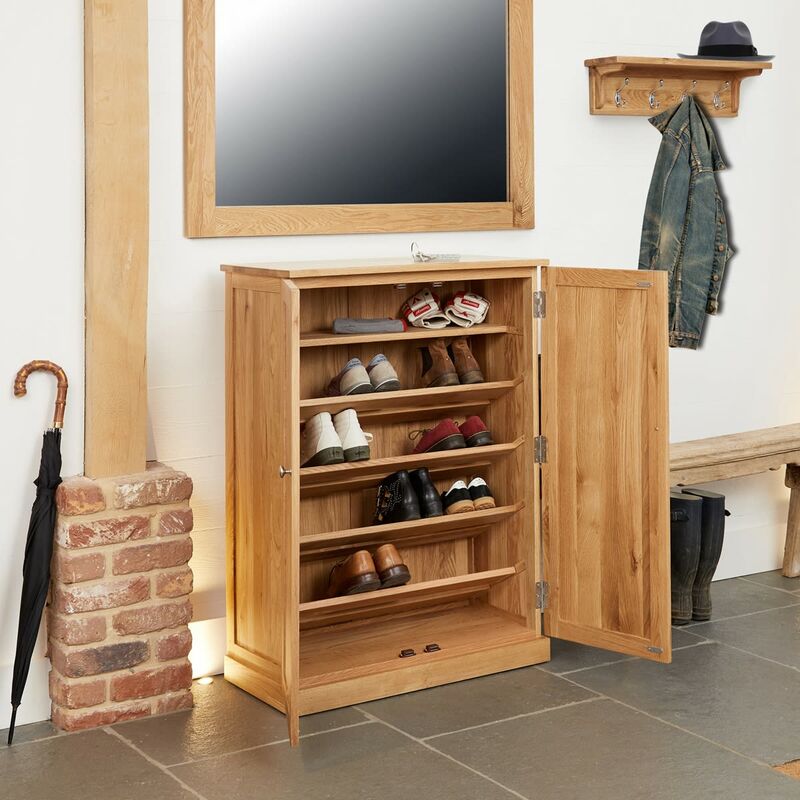 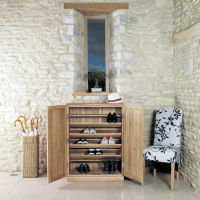 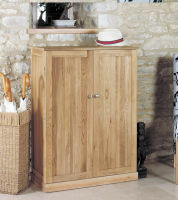 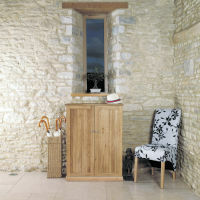 Should you be looking for a more compact version of this unit, then have you considered our light oak shoe cabinet ?